Rhode Island's nickname is �The Ocean State,� as there are so many bays and inlets in this geographical location. As a result, much of the Rhode Island commercial real estate listings will be located near water. As of the census estimate in 2005, the state had a population of 1,076,189 people. Those looking for investment property in Rhode Island will find that the largest population centers include Providence, Warwick, and Cranston, with populations of 178,042, 82,672 and 80,387 respectively. The state has 39 cities and towns. The economy of Rhode Island has changed over the years. The modern economic infrastructure is based on healthcare, education and manufacturing. In previous centuries, this area was influential due to its large textile industry and waterpower resources. Around the industrial revolution, industrial space in Rhode Island was also dedicated to tool making, silverware and jewelry making. Much of this industrial space was more recently converted into other types of buildings including condos, museums, office space and low-income housing. Newly renovated kitchens, bathrooms 5 units, 4 residential apts and 1 office/retail space. 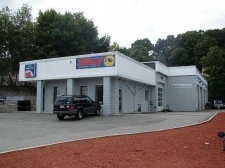 A free standing commercial property available for sale. Former 1900's firehouse. 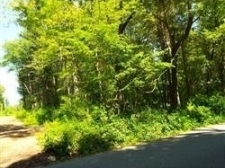 Quiet and serene location bordering 38 acres of vacant land owned by Wickaboxet Association. 531 Douglas Pike Smithfield! Your NEWEST/PRIME SITE FOR DEVELOPMENT. This property is zoned R 30 with an Overlay District assigned with a recent zoning ordinance. 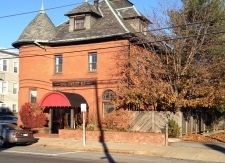 Welcome to the Historic General Stanton Inn & Restaurant. Established, time tested, and very popular medical center and lab in Portsmouth. 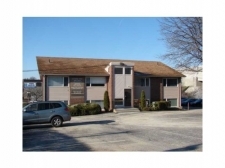 Stand alone building offers 3 separate units of professional office space right off Rt 24. GREAT OPPORTUNITY FOR YOU TO START YOUR OWN BUSINESS!!! PRESENT USE AUTO SALVAGE, AUTO PARTS AND DEALERSHIP. 500 FT.FRONTAGE ON RT.123 AND 483FT. Well maintained medical Office Condo, near Hospitals, Leased. 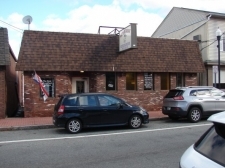 High traffic Rd., Brick bldg., Newer Roof, Present use Restaurant, other uses Retail, Office. Great Investment or Owner Occupy. Ekevator, Ample Parking. 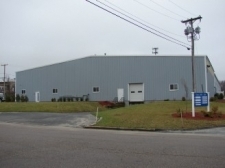 WAREHOUSE, OFFICE, 2 SHIPPING DRS TRUCK LEVEL DOCK CAN BE SUBDIVIDED INTO 2 5000 SQ.FT. UNITS.